I love that they are dishwasher and microwave safe. What I didn't expect was just how beautiful these dishes are and such good quality. I just love them. I would recommend these dishes to anyone. 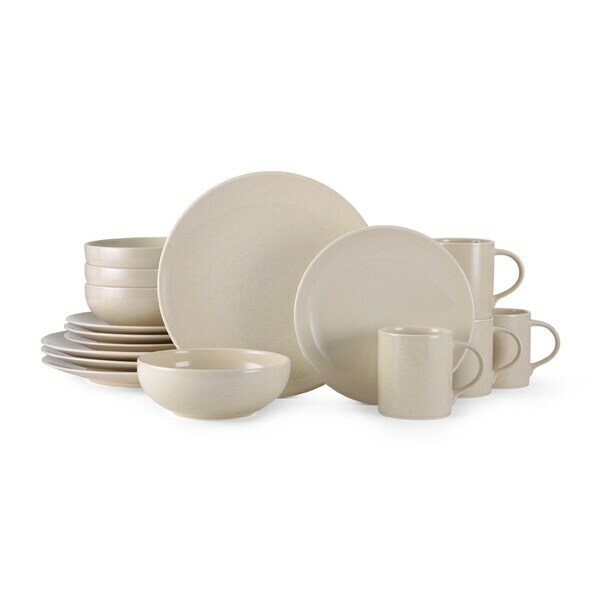 Serve in style with the simple beauty of this Mikasa Benson ironstone dinnerware set. The smooth stone-look pattern is great for everyday dining and looks wonderful with casual and country decor. Simple and versatile style was just what we were looking for. Great for every day use but easy to dress up for dinner with guests. The large round bowl sold us over similar sets for cereal and soup. We haven't had it long enough to comment on durability but it seems well made.